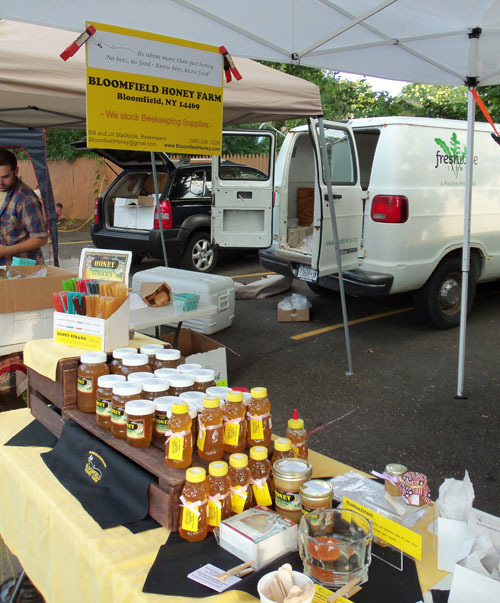 Last summer, when I was at the South Wedge Farmers Market, I discovered the Bloomfield Honey Farm booth. Besides honey they also sold beekeeping supplies. That got me thinking. I wasn't getting anywhere with my city chickens plans, but they explained that you can have bees in the city. Tonight Aaron and I went to a Beekeeping class. 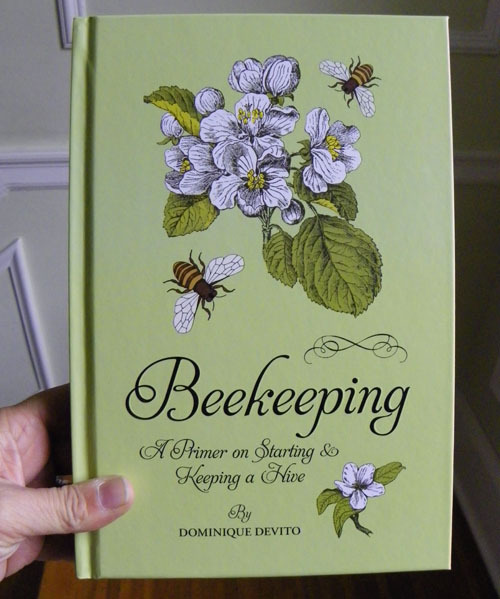 We learned so much and are signing up for the beekeeping mentor program in 2012. I already have my bee hive Aaron got me for Xmas but it is too far along for this year to start. Next season we will take some more classes, get our mentor and even acquire local bees from the local beekeeping club rather than ordering online Southern bees with questionable backgrounds. Ooh that book looks interesting. My brother had to end his beekeeping dream. I guess one of his neighbors found out & told him that his next door neighbor was highly allergic (as am I, so I wouldnt go near his house! lol). He felt too bad to proceed, but he had a friend with a farm nearby that let him have a spot there. I love that you are going with the local bees too!! A local honey seller ships his bees south for the winter so they keep producing, and they never get rest the poor things. Then when they are shipped back north in summer, who knows what they have picked up! And people wonder why they are dying off!! Happy healthy bees = happy healthy honey & flowers! heh! i love that. questionable southern bees. i imagine them coming with records and mug shots.